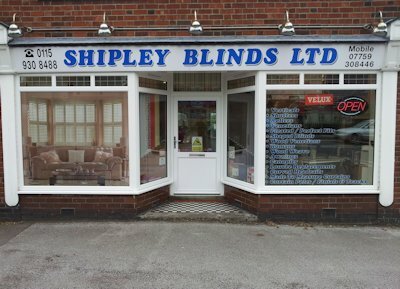 Come and visit us at our newly extended showroom with free customer parking and view our range of sample blinds which are also available to take home. We also have 1000's of fabric and slat samples available to view instore. Visit our shop or call to arrange your free, no obligation quote now. For details on how to find our Ilkeston Showroom CLICK HERE. We are less than a 10 minute drive from junction 25 and 26 of the M1.